Sometimes, nothing goes right, in craft as it does in life. 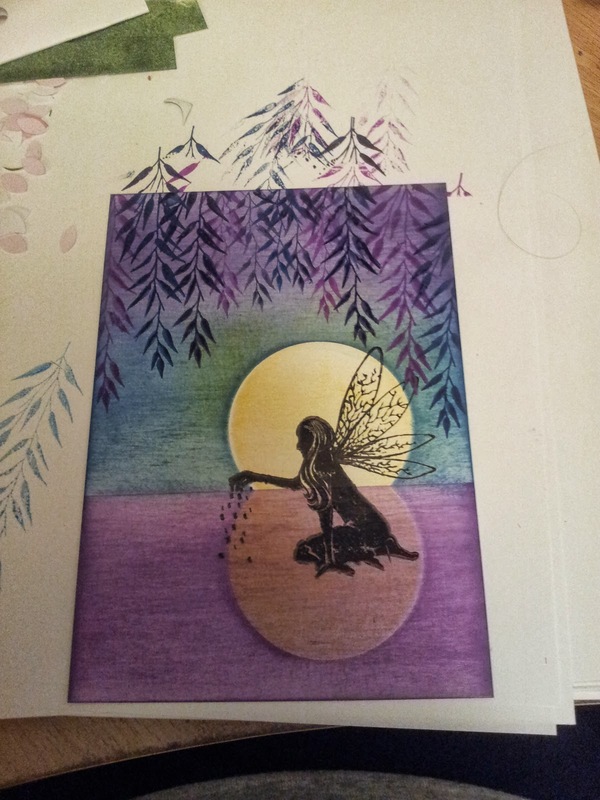 The particular case in point was an attempt at an entry for the Lavinia Stamps challenge. 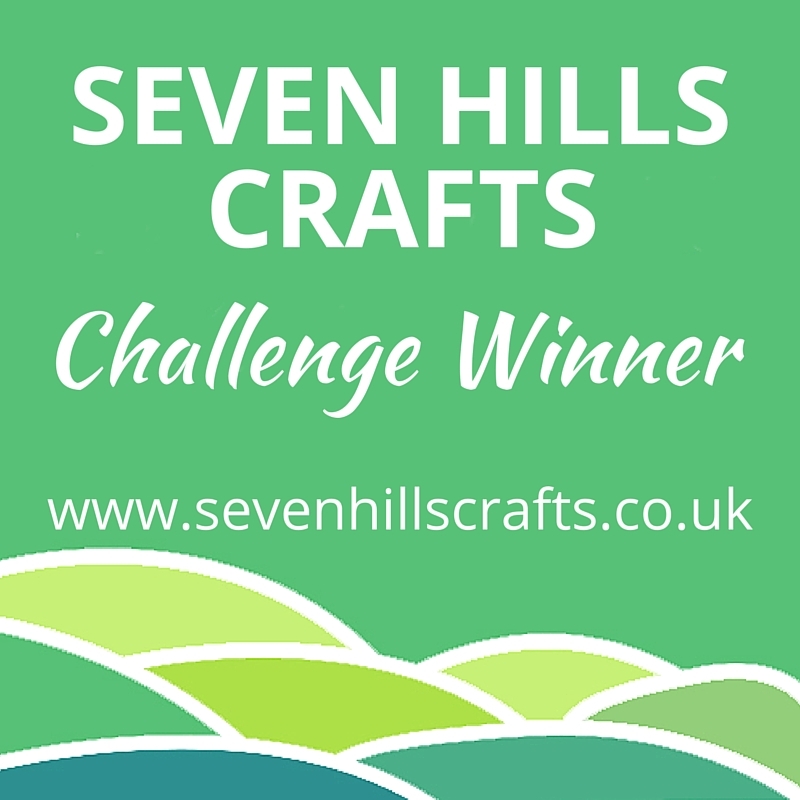 In September the challenge was 'Add a Flower'. Nice and easy. 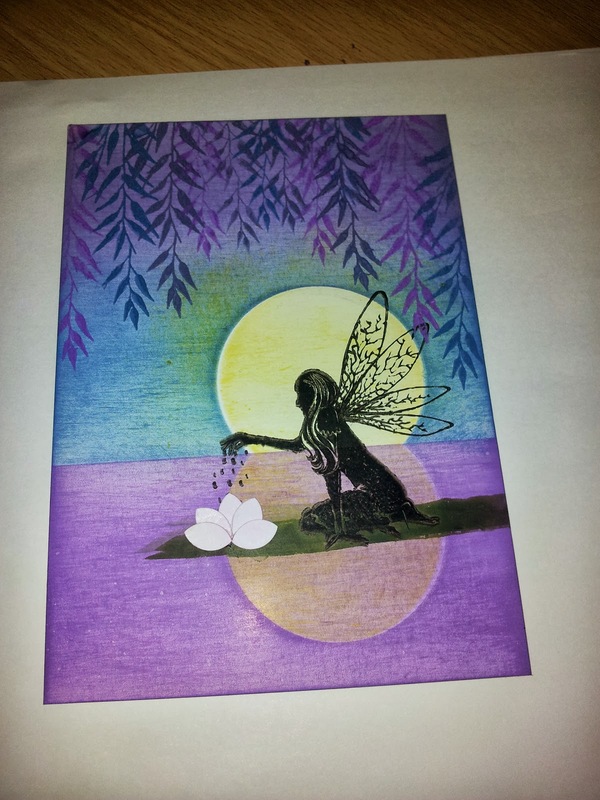 I had a lovely fairy sprinkling fairy dust stamp that I've always thought would look great sprinkling the dust into a lily, so I decided to give it a go for the challenge. I failed utterly, the whole project had a huge attack of the Murphies. 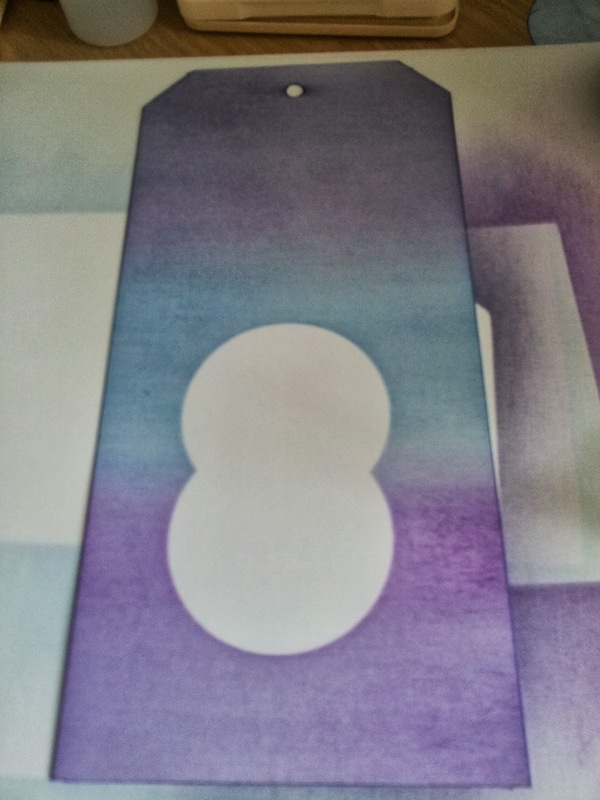 I started out by using my inkylicious dusters to make a night scene on a tag. Eggplant at the top, Denim for the horizon, and Purple Twilight for the water. Colours looked fab. Only first time, I forgot to make a mask for the moon. 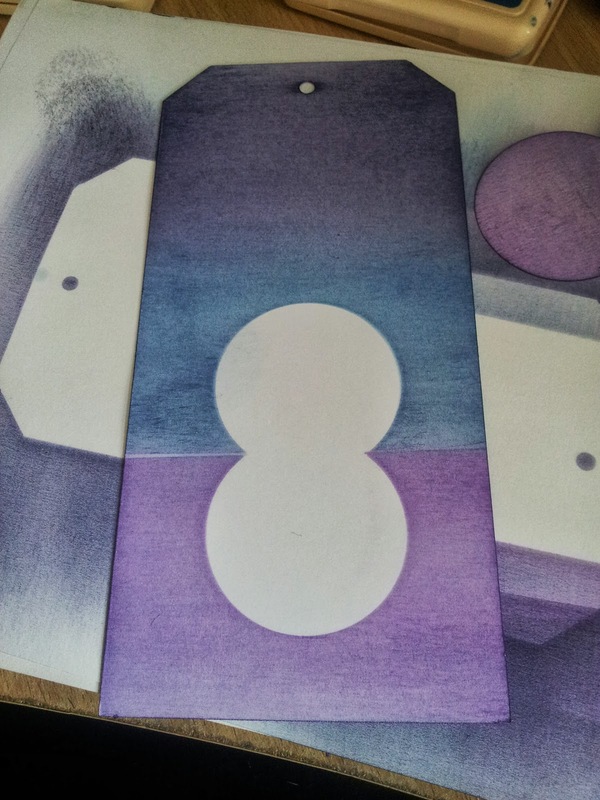 So, back to the drawing board, I started again, this time leaving in a mask for the moon, and its reflection. Only I got it at a very obvious angle. Third time's the charm, and I manage to get the reflection level. Except I fluff the horizon. I decide to plough on anyway, and hope that it won't show by the time I'm done. I needn't have worried. 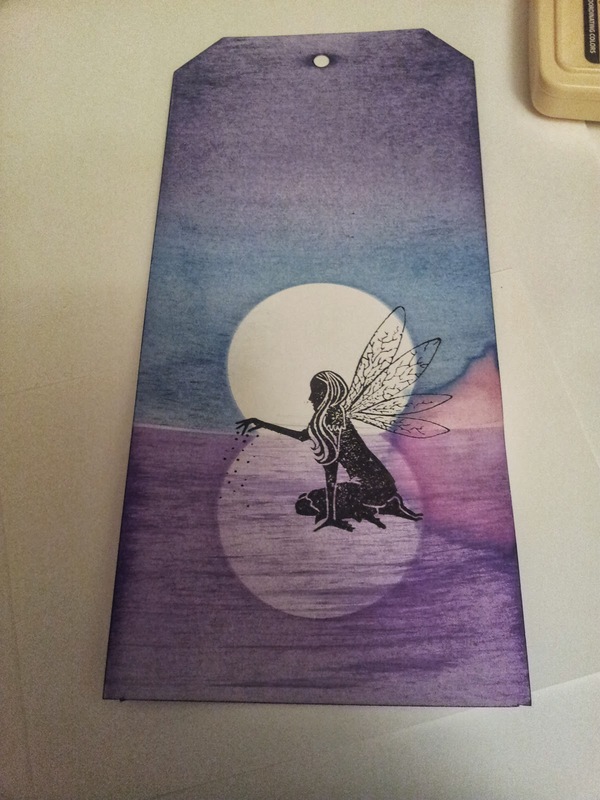 The next flood of disasters involved me forgetting to colour the moon, and then After successfully adding minor ripples to the water, and stamping the fairy, I set it aside to dry. I end up setting it a side for a week, and come back to find my husband has managed to use it for a coaster and drip diet coke all over it. 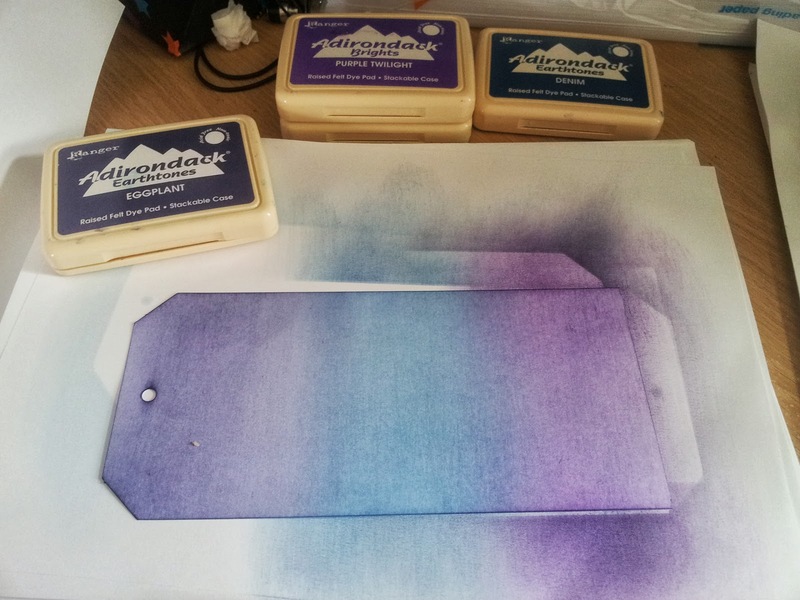 So I start again, this time on a piece of A6 art card. I remember the moon, and to colour it, I put in the fairy, and a curtain of willow branches. Its going right! But only for a few minutes. I soon realise my original plan to paper piece the lily pad and flower isn't going to work. I try thin leaves and thick leaves, but nothing looks right. I can't get the flower right either. I try petals punched with a 5/8ths inch punch, and 3/4 inch punch and finally a half inch punch. Eventually I use the half inch punch. 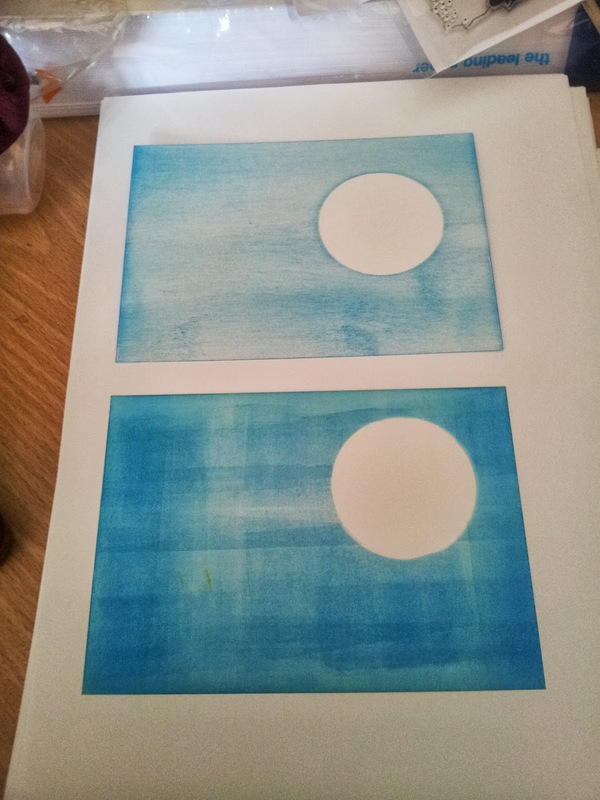 Then I have a brain wave and decide to use the edge of my brayer to add the lily pad. This is what I get. It looks nothing like a lily pad, just some green streaks. And now its October so it doesn't matter anyway. Grrr. Maybe next month.